Inhabitants of North West America. This entry was posted in 1824, 19th Century, North America and tagged Native american dress, North American costumes on 2/26/16 by world4. Bushmen. 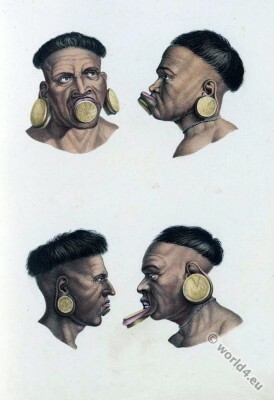 Man and woman from the San people. Man and woman from the San people. Man and woman from the San people in South Africa. 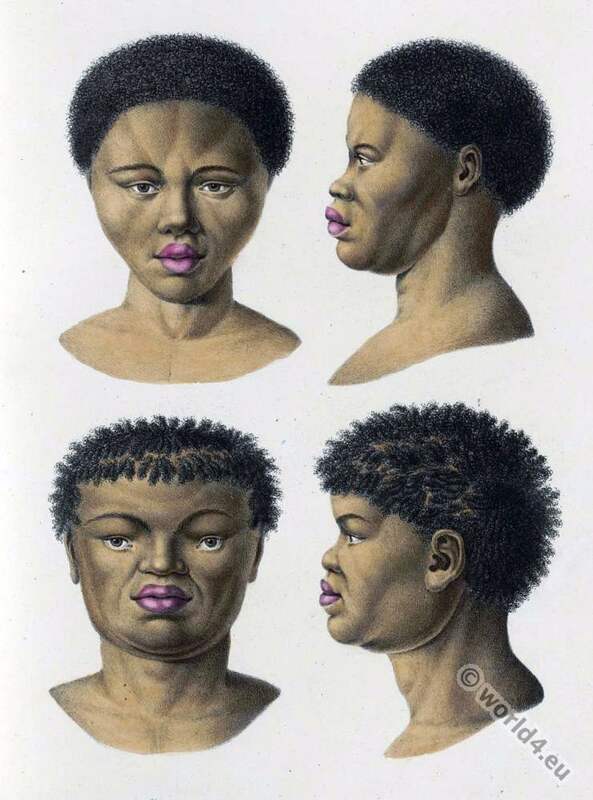 This entry was posted in 1824, 19th Century, Africa, South Africa and tagged Traditional South Africa Costume on 2/23/16 by world4. Botokuden. 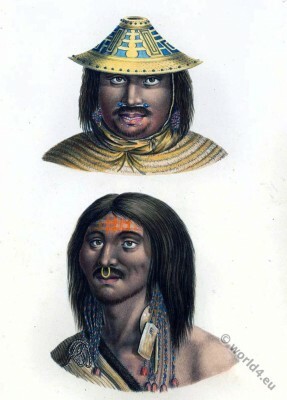 Indians from south-east Brazil. This entry was posted in 1824, 19th Century, Brazil, Latin America, Native American and tagged Pictures of Indian Natives, Traditional Brazil costumes on 2/21/16 by world4. Dutch costumes from the island of Walcheren, Zeeland Province. Peasant farmer from the island of Walcheren, Zeeland Province. Paysan et Paysanne de l’île de Walcheren, Province de Zeeland. This entry was posted in 1824, 19th Century, Dutch and tagged Netherlands national costumes, Traditional dutch costumes on 1/25/16 by world4. 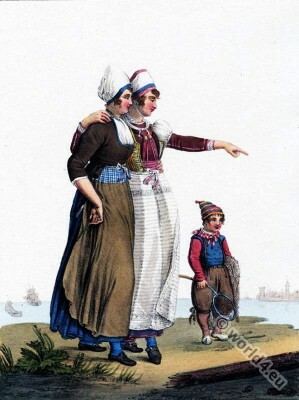 Dutch costumes from the island of Marken in the Zuiderzee. Dutch costumes from the island of Marken in the Zuiderzee, 1824. This entry was posted in 1824, 19th Century, Dutch, Netherlands and tagged Netherlands national costumes, Traditional dutch costumes, Wedding dresses on 1/23/16 by world4. Lady in Paris Street Costume. Restoration era. Lady in Paris Street Costume 1823-1824. 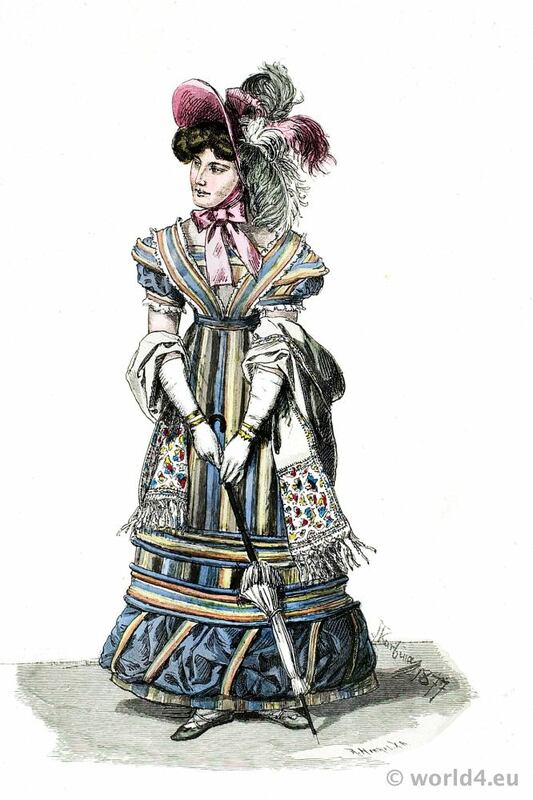 Lady in Paris Street Costume 1823-1824. Restoration era. 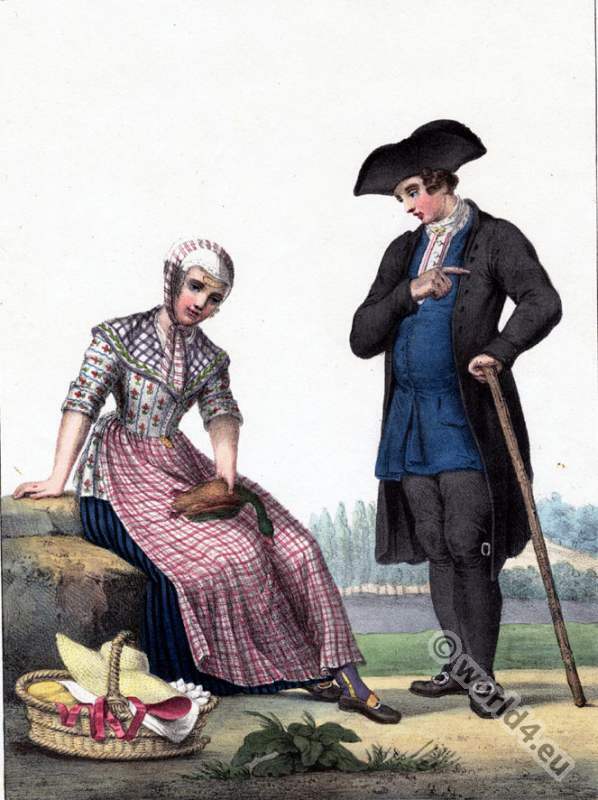 This entry was posted in 1823, 1824, 19th Century, France, Restoration and tagged France restoration costumes, Lipperheide on 11/7/14 by world4.